Q: My nephew recently graduated from a university in Ireland. He has found a company in the US that is interested in hiring him. What does he have to do to get an employment visa from the US government? The H-1B employment visa category is the one most commonly used by foreign graduates, whether they studied abroad or in the US. Foreign nationals who are admitted in H-1B status are allowed to work for a sponsoring US employer in the US for up to three years, with possible extensions up to a maximum of six years. There are provisions that allow an applicant to change employers in the US if certain conditions are met. The basic requirement is that a US employer must use the services of the foreign national in the US in a professional capacity in a specialty occupation. A professional is defined generally as someone with at a Bachelor's or higher degree from a US university or a foreign equivalent. A specialty occupation is defined as one that requires the theoretical and practical application of a body of highly specialized knowledge. The number of H-1B visas available annually is set by Congress. Currently the total is 65,000. The visas become available at the start of each fiscal year, that is, on October 1. US Citizenship and Immigration Services (USCIS) opens up the application process six months before that date however, so applications for the batch of visas available starting on October 1, 2013 will be due starting on April 1, 2013. In past years, the visa numbers for the year have all been used up during the first week of April, and we think that this may happen again this year; thus, it is very important that USCIS receives your application on April 1. The application process is complex and involves several stages, beginning with a submission by the US employer to the US Department of Labor, followed by a petition by the employer to USCIS, and ending with a visa application by the foreign national. Normally the sponsoring employer retains an immigration lawyer to take care of the entire process. IIIC can provide referrals to experienced business immigration lawyers for this purpose. If your nephew graduated from university within the past twelve months, he might consider applying for the J-1 IWT program that allows recent graduates (or current students enrolled in a degree course) to undertake a paid internship related to their academic field of study with a US employer for up to 12 months. The start date for this program must be within 12 months of the date of graduation. Not that this is not just an employment program. The internships must offer a thorough training plan for the participant. 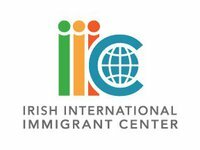 The Irish International Immigrant Center is designated by the US State Department as a sponsoring organization for this type of visa and can assist with all aspects of the application process. For more information on this J-1 visa, visit the IIIC web site using the following link,http://www.iicenter.org/services/J1-iwt.htm, or contact our Learning Exchange Programs Department at 617-542-7654 ext. 38 or email at J1IWT@iicenter.org. For a free, confidential consultation on any aspect of immigration law, visit one of our legal clinics advertised in the Emigrant. Disclaimer: These articles are published to inform generally, not to advise in specific cases. .US Citizenship and Immigration Services and the US Department of State frequently amend regulations and alter processing and filing procedures. For legal advice seek the assistance of an immigration lawyer or accredited IIIC immigration specialist.